Hi I’m Angela – I’m a content writer and Pinterest manager who wants to help bloggers and small businesses gain traffic, leads and sales with a combination of quality content and clever use of my favourite social media site, Pinterest. And that’s what the blog here is mostly about – Pinterest. I’ve been blogging for over three years now and I was using Pinterest for myself long before that. One thing I realised is that lots of bloggers don’t make the most of the site. They don’t have Pinterest optimised images or keyword rich descriptions that automatically fill in when you hit that red ‘P’ button. Their Pinterst bio is lovely but it doesn’t hit those keyword buttons. So I decided to take all the tips and hints I’ve picked up in three years of content writing and blogging and start offering services to help fellow bloggers make the most of Pinterest. As well as offering my services I’m going to share lots of helpful stuff about Pinterst along with the latest news to help you figure it out yourself. 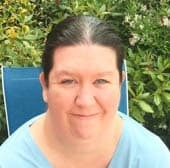 Just a little about me – I live near Durham in north-east England with my husband, parents, nine cats, a rabbit and an aviary full of around 200 birds. And we only have a normal three bedroom house so it gets a bit manic sometimes! I worked for 14 excruciating years in insurance before discovering I could make a living from something I had always enjoyed doing – writing. Now I have helped hundreds of clients get the content they need to grow their website, bring traffic and increase their SEO.